Click the button below to add the Anti-Aging Facial Lotion #Lotions# to your wish list. This age-defying facial lotion helps bring back your skin's natural radiance. Diminish the appearance and help minimize the look of fine lines and wrinkles with this antioxidant-rich formula that smooths and softens for a more youthful glow. Improves the appearance of fine lines, flakiness, and dryness, leaving skin looking happier and healthier. Dark spots, roughness, and uneven tone become smoother, more radiant skin you can see and feel. Made with the purest, most luscious, skin-loving ingredients, this lotion will nourish, moisturize, and rejuvenate with a blend of natural goodness to achieve a more youthful look. Formulated with 100 percent plant-derived squalane, that helps rejuvenate skin’s appearance. Anti-aging benefits boosted by Almond, Red Raspberry and Jojoba naturally rich in vitamins and antioxidants help your skin to repair and renew itself. Designed to improve the condition of your skin, leaving it soft and supple all day long. This made my face look amazing and healthy, it did a wonderful job on small fine lines and wrinkles. I love how this makes my skin feel. It goes on smoothly, absorbs without feeling oily and its ingredients contain many vitamins with anti-aging properties. Usually, people think I am ten years younger than my age. It is all about the preservation of your skin and this works flawlessly for me. The appearance of smooth, resilient, and younger-looking skin. Dark spots, fine lines and wrinkles begin to diminish as your skin absorbs and is restored. Gentle, non-irritating formula lessens the appearance of wrinkles and other signs of aging. For a more radiant, healthier glow with enhanced skin tone suitable for all skin types and ages. Love this stuff! The fine lines under my eyes are barely visible and I love how soft and supple this leaves my skin. I can honestly say that this cleared some blemishes and smoothed out my skin to where I have been asked whether I wear makeup. This lotion moisturizes without feeling heavy and I can easily wear it under makeup too. Very little is needed which makes this last a very long time. Definitely recommend this lotion its anti-aging benefits. This age lotion is the real deal. I am almost 46 with average age spots. With my first use, my skin felt amazing and added a beautiful glow to my skin. I have used it two weeks now and swear the age spots and crow’s feet have diminished. I love this lotion! This also did not cause any breakouts. I'm 58 years young and I this is a keeper. This lotion is made fresh in the USA. For a more radiant, healthier glow with enhanced skin tone. Gentle, non-irritating formula reduces wrinkles and other signs of aging. Aloe Vera softens, conditions and invigorates skin for more radiance. Chia Seed Oil has fatty acids that plump the skin, the moisture levels, and reduce the appearance of fine lines or wrinkles. Avocado Oil contains fatty acids and Vitamin E, which soothes and hydrates skin. Cocoa Butter is a nutritive moisturizer that provides hydration to the driest of skin. 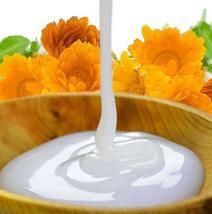 Cocoa Butter and Borage oils are vitamin rich, long-lasting moisturizers. Use the facial lotion daily as needed. 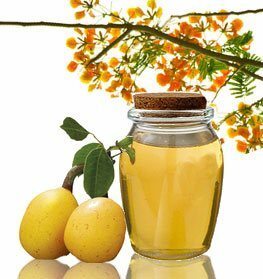 It is best to apply after cleansing, showering or bathing. • Can be used a daily moisturizer. • Gently apply to the face and neck in a patting motion. • Can be used with other serum, lotions, and creams. • Great for hydrating dry mature skin. Apply on skin that is slightly damp to lock in moisture. Aloe Barbadensis (Aloe) Leaf Hydrosol, Rosa Damascena (Rose Hydrosol), Prunus Amygdalus (Almond) Oil, Persea Americana (Avocado) Oil, Theobroma Cacao (Cocoa Butter), Borago Officinalis (Borage Seed) Oil, Squalane (Squalane Olive) Oil, Cetyl Alcohol, Glyceryl Stearate, Salvia Hispanica (Chia Seed) Oil, Daucus Carota (Carrot Seed) Oil, Calophyllum Inophyllum (Foraha) Oil, Caprylic/Capric Triglyceride (Coconut Oil) Fractionated, Simmondsia Chinensis (Jojoba) Seed Oil, Rubus Idaeus (Red Raspberry Seed) Oil, Guar hydroxypropyltrimonium, Caprylyl Glycol, Glyceryl Caprylate, Sodium Lauroyl Lactylate, Glycerin, Vetivera Zizanoides (Vetiver) Root Oil, Chamomilla Recutita (Matricaria) Flower Oil, Citrus Sinensis (Orange Peel) Oil. This product really delivers! Within days of using, I noticed dramatic differences in my complexion and overall tone. My skin looked and felt years younger. The product has a thin consistency, which allows a little to go a long way. The other products in the anti aging line are also amazing, and they work exceptionally when used together. As a skin care professional with relatively good skin it takes a lot to impress. This pronduct improves the look and feel of skin within a very short period of time.but with such a fab cocktail of ingrediants how could it not.would love to sell it from my beauty clinic. simply a must have! Wow! This stuff rocks! My face really does look younger and more luminous. What impresses me is that it really does help diminish age spots and my skin's texture has really improved! I'm 44, and my skin looks 10 years younger. Definitely worth the price. I use this facial lotion every morning after I wash my face. I have pretty sensitive skin, so I have tried a TON of lotions and this doesn't irritate my skin or make me break out. A little is all you need for great results. It smells nice and make up goes on smooth and it gives your skin a tiny glow. Plus noticably evens out skin tone, fades discolorations, and smooths away tiny wrinkles. For once a product that does exactly what it claims to. !! I'm sold. I absolutely love this facial lotion. It instantly makes my skin feel baby soft and smooth. After a few days I felt better about my skin and actually felt like my face was glowing/softer. Makes me feel better all around. I love that I am putting real butters and oils on instead of chemicals, just feels great. I'm glad I decided to try it. This facial lotion is great! I have noticed that my makeup goes on smooth, and my facial skin has a glow - even with foundation on. I wish they made an eye cream as part of this product line. I will definitely buy this nutritive product again. Diminish the appearance of fine lines and wrinkles, leaving your skin softer, smoother and healthy with this face lotion that is gentle enough for all skin types. Made with the purest most luscious skin loving ingredients, this lotion will nourish, moisturize, and rejuvenate your skin with a blend of nutrient rich nutritive oils, butters and essentials. Fine lines and wrinkles begin to diminish in days as your skin absorbs and is restored by this lotion that is enhanced with the nutritive wonders of botanical Squalane oil. A NATURAL Product That REALLY Works! I am a 64 year old female. I was in a month long coma last Summer due to an allergic reaction to pharmaceuticals, when I came out...my skin was a mess. My "Church Ladies" told me about Just Nutritive, and it's natural line of products. I had nothing to lose so I tried their ANTI-AGING FACIAL LOTION in September 2017. It's May of 2018 now and using it daily on my face, I still have about 1/3 of the bottle left. The important thing though is that I have SEEN it improve the conditiopn of my skin and I also have seen wrinkles disappear. I glanced at a photo of myself right after returning home from the hospital and it was then I saw visable proof of 3 wrinkles just being GONE. It is also that FEELS like no other facial cream I have tried, (and I've tried plenty even at 3X the cost. TRY IT! You won't be disappointed! Light & not greasy. So moisturizing. Love! Love!! Love!!! I've yet to find a product from JN that I don't love. I HAVE ONLY USED THIS LOTION FOR A WEEK. IT SEEMS TO BE WORKING WELL. IT KEEPS MY FACE MOIST, BUT NOT GREASY. My skin gets so dry in the winter months and this lotion makes my face feel amazing. This anti aging face lotion is the best. My face feels so soft after each use. Can't start my day without it. I love this lotion. I use this cream morning and night. I love how this product hydrates my skin. I see immediate results on my skin and love all the compliments I've been getting. I love this lotion. My wife bought this lotion and I ask her what she was using to make her look so well rested and youthful. She handed me this product and I had to order my own. It is wonderfully light and nourishing. I liking this lotion a lot. My friend uses your line of products and loves them. Her skin is just beautiful and I asked her what she would recommend for me. She said to try this product and it was a good recommendation. This lotion softly hydrates my skin without making it oily and make my skin look so radiant. My skin has become so much better with this product. I am so in love with it. My fine lines and dry patches have become non-existent. Love this moisture rich lotion! This is perfect when I need a kick of moisture. I will most likely keep this in my rotation. The smell is light and soothing.My dry mature skin feels smooth, hydrated and supple.